Rhinoplasty, also known as a nose job, is a cosmetic plastic surgery procedure that’s meant to change the nose’s structure, shape and form. People choose to get rhinoplasty for various reasons—patients may dislike the appearance of their nose and want to change it, or, they experience breathing problems and need to improve the nose’s structure. It’s a complex procedure, but a very commonly performed one. In fact, rhinoplasty was the fifth most performed procedure in the world in 2013 according to International Society of Aesthetic Plastic Surgery statistics. Advanced technology and techniques in cosmetic surgery allow surgeons to perform rhinoplasty safely. Even better, there’s now 3D computer imaging and simulation that can show patients how their noses will look like before the actual procedure. This is offered during a patient’s consultation to let them actually see what their results could look like. Plastic surgeons will always try to deliver you the best results, but you won’t see the final results right after your surgery. There’s a recovery period where casts are placed on the nose. Patients are also recommended not to do physical activity like sports until six weeks after the procedure. Swelling is totally normal after rhinoplasty and is considered as part of recovery. Swelling can last a few months or up to two years. That means you can determine the end results of your nose once swelling subsides. Dr. Mulholland, a Toronto cosmetic surgeon who has been performing rhinoplasty for the last 20 years, talks about the different types of noses he treats regularly. He describes what they are and what steps he usually takes to treat them. Source: SpaMedica. These are some common nose concerns patients have. Bridge bumps are usually present due to hereditary overgrowth of the bones and cartilages on the nose’s bridge. Sometimes, nose injuries or fractures can cause overgrowth of the tissue which results in bridge bumps. Patients with this look often dislike their three-quarter and profile views. Your surgeon will file down the nasal bones to reduce this bump. Bulbous tips are typically caused by excessive overgrowth of lower lateral cartilages. It’s often hereditary but sometimes bulbous tips appear after trauma. To treat this, external rhinoplasty would be the go-to option. The lower lateral cartilages will be reduced or contoured to leave the tip looking thinner and sleek. Crooked noses come from the deviation of the internal partition of the nose called the septum. Irregular septums can make noses look like they’re lopsided. To improve the appearance, a septoplasty would be performed which involves removing part of the septum. Then, the nose bridge would be restructured (usually with the material taken from the removed septum) to create support and a straighter appearance of the nose. Patients with wide nostrils can have their nostrils reduced by having a portion of the nostrils removed. The incision would be hidden under the nostril’s base. 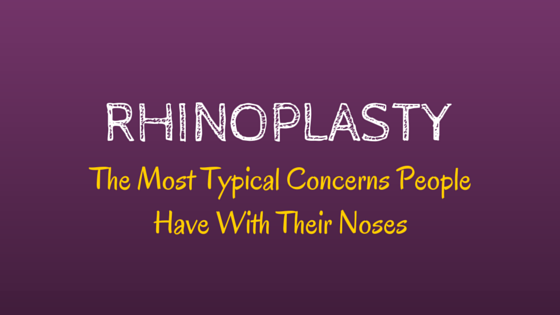 Want to know more about your rhinoplasty options? 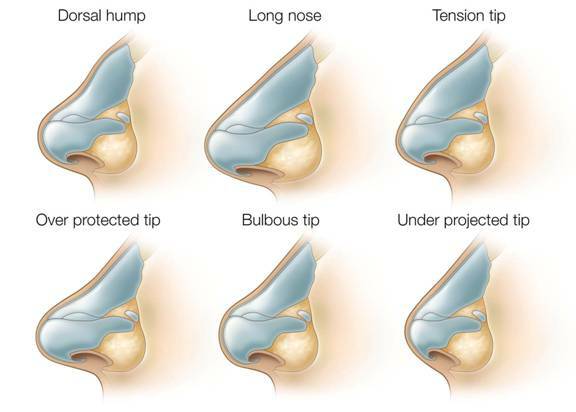 Book an appointment online or call 1-877-695-2835 to find out what you can do about your nose. Ever wondered how some celebrities have toned, washboard abs? Of course a strict diet, intense personal trainer and hours of working out helps them maintain a solid body—but some celebrities also sneak in non-surgical (and surgical) liposuction treatments. Jessica Alba, who has been repeatedly named one of the hottest celebrities on several magazine lists, had non-surgical liposuction treatments a few years ago. She reportedly underwent these treatments to get rid of stubborn fat on her thighs and abdomen. Even though Jessica is one of the fittest celebs in Hollywood, she still has some body gripes like the rest of us. One of the most effective non-surgical liposuction treatments right now is called UltraShape. Find out what the most common questions are and if the treatments sound right for you and your goals. Source: Viralands.com. Jessica Alba underwent non-surgical fat reduction treatments to treat her thighs and abdomen. UltraShape is a non-surgical fat reduction treatment that uses ultrasound waves to target and implode fat cells in areas of unwanted fat. After your physician applies a thin layer of ultrasound gel on this area, they move the UltraShape hand-held device across the area of treatment. This device focuses on the superficial, middle and deeper layers of fat. Common areas of treatment include: the abdomen, thighs, hips and arms. You’ll see a reduction of three centimeters of fat after three treatments. How long does it take to complete all UltraShape treatments? Each treatment takes about 30 minutes to complete. Usually three UltraShape sessions are needed to complete the program. Each treatment is performed once every two weeks. That means you’ll finish all treatments after six weeks. 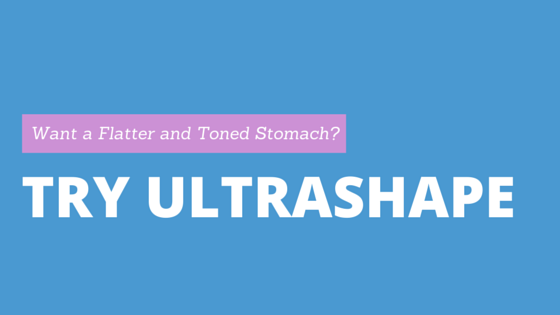 Who’s the ideal candidate for UltraShape? UltraShape is right for you if you want to see a small but noticeable and permanent reduction of fat without going under the knife. If you’re actively trying to trim up and you’re close to your goal weight, UltraShape treatments can help reduce your stubborn fat. After 3 treatments, you can see 3 centimeters of fat reduction. If you have really loose skin and a lot of fat that you want gone, liposuction procedures like SmartLipo or BodyTite may be the better option if you want more dramatic results. Patients who are pregnant or have any skin infections on the area of treatment are not suited for UltraShape treatments. Yes they are. The fat cells that have been destroyed don’t return, as long as you maintain your weight after treatments. If you do gain weight later on, the fat will accumulate in other areas of your body instead of the treated areas. Is UltraShape painful? Will I need to set aside time to recover after treatment? UltraShape treatments are painless. There’s no need for anesthesia when you come in for treatment. 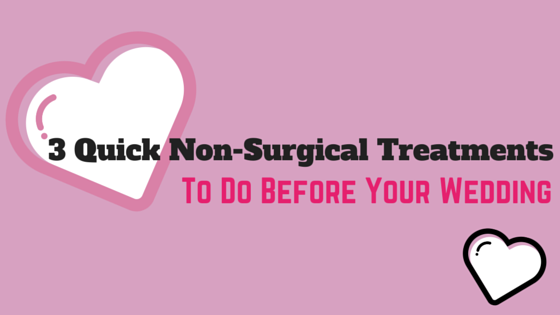 You don’t have to take time off work or regular activities to recover unlike surgical procedures. The cost will vary at each clinic. On average, each treatment can cost $750-$1,200 depending where you go. Want to see UltraShape treatments in action? We’ll be in Miami on Saturday, June 27 to demonstrate how UltraShape works at a workshop. We’ll be filming it live on Periscope so you can watch, learn and ask Dr. Mulholland questions. Follow us on Twitter to find out when the broadcast begins! Does this image look familiar to you? It probably does. The Dove Campaign for Real beauty which was launched in 2004 is meant to challenge limited notions of what beauty means and empower women of all ages, colours and sizes. Sure, this social movement for women is important for discussion on body image and perceptions—but what about men? Do they even have body image issues? Do they even get plastic surgery? Of course they do. We just don’t talk about it very much. 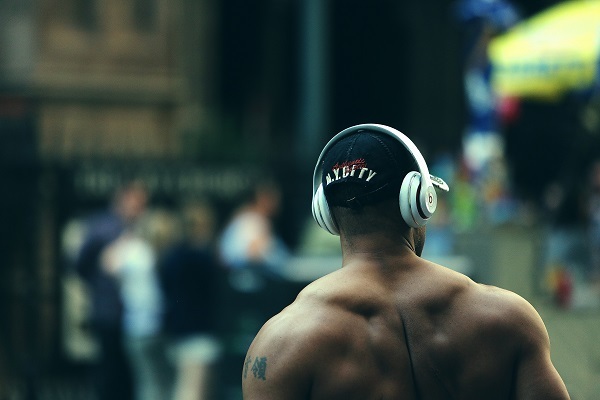 By focusing on female bodies so intensely, men and body image issues are easily overlooked. There’s insane pressure for women to look a certain way, and some men feel this pressure to a certain degree as well. The standard created by society for men is to be at least six feet tall and muscular but lean—which pretty much describes Ryan Gosling. As a woman, even I know that’s unfair. However, not all women would agree with this ideal. The study below reveals that men think women like a muscular body when they actually prefer an ordinary body. According to the study “Body Image Perception Among Men in Three Countries”, the authors found that men in their 20s in Europe and the U.S desired a body that was about 28 pounds more muscular than themselves. They also assumed women preferred a male body about 30 pounds more muscular than themselves. Fascinated by these results, the authors presented images of male bodies to 43 college women in Austria. They asked them to choose which body they preferred. Instead of picking a muscular body, they chose average-looking bodies. As noted by the authors, the men think women like a certain body type when they actually prefer an ordinary body. Men aren’t immune to body image disorders. Muscle dysmorphia is a disorder in which a person worries about looking too frail or weak. 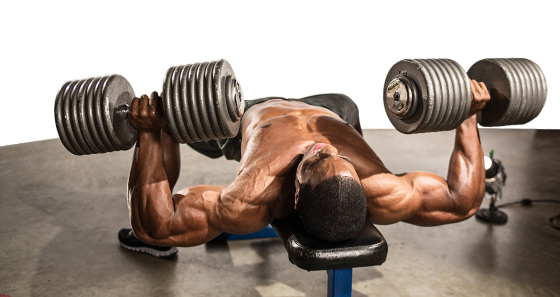 Even if they are already muscular, they constantly fear they look too weak and compulsively exercise. This disorder can interfere with a person’s job, studies, friendships and relationships as they obsessively worry about what others think of their “small” bodies. More men are willing to change their looks through cosmetic procedures now. 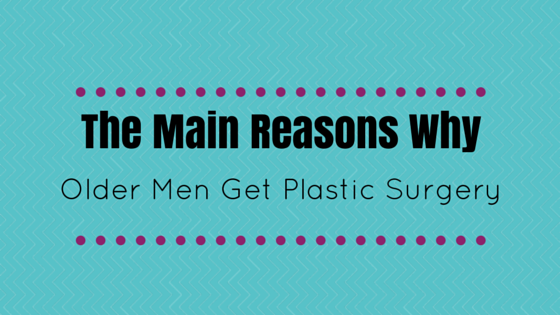 For the longest time, it was generally assumed that men don’t feel compelled to get plastic surgery like women do. That’s not the case now. Since 2010, there have been dramatic increases in these procedures for men: blepharoplasty, male breast reduction and facelifts. Since ASAPS started collecting statistical data in 1997, they’ve seen a 273% increase in the number of procedures performed on men. While we don’t talk about men and body image as often as we should, it doesn’t mean it isn’t a problem. The lack of attention on this topic indicates that we as a society don’t see this problem significant—yet. Who knows, maybe there will be a campaign for men and masculinity in the future? It may be a stretch but it would certainly be refreshing to see. Kim Kardashian once said that she doesn’t smile much in photos because it causes wrinkles. You might think that sounds ridiculous, but she actually is right. Below we talk about common skin concerns like wrinkles, acne and sun damage and break down what habits could be influencing or accelerating these concerns to happen. It’s natural to see lines and wrinkles as you age, but you can see them earlier than expected due to facial animation. That means frequent frowning and smiling can very well influence the formation of wrinkles and lines. The glabella lines (also known as the 11’s) are the frown lines between your eyebrows. If your skin has already been sun damaged, there’s a higher chance of you developing glabella lines. Sun damage breaks down the skin’s collagen and elastin and thins out the skin. Solution: Botox injections temporarily treat and relax these muscles so you won’t look tired, aged or angry. 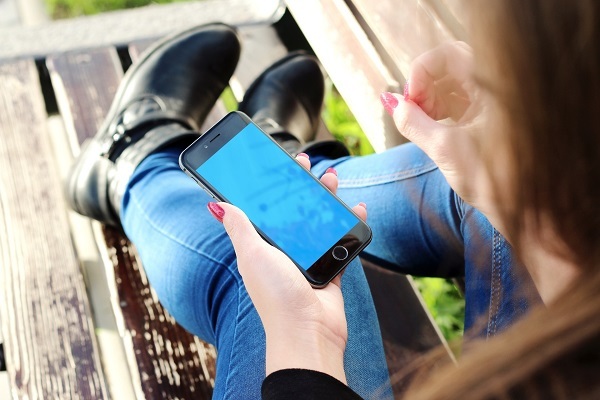 Cell phones are carried around and left on different surfaces throughout the day. You may leave them on dinner tables, beds, bathroom surfaces, or just stuffed in your purse with several other items. With this constant contact with various surfaces, bacteria easily fester on your cell phone. Now imagine constantly pressing your face against your cellphone. These bacteria can aggravate your skin. Not only that, your pores can get blocked from perspiring on your phone after long conversations. Solution: Use a headset so your phone won’t have to be against your cheek all the time. It’s a given that you are susceptible to sun damage during the summer. It’s the same case even during the winter and on cloudy days. If you do winter sports, the sun’s ultraviolet radiation still puts you at risk of sun damage. Here’s bad news for skiers and snowboarders—the sun reflects off the snow and higher altitudes can put you at risk for overexposure to the sun’s UV. The Skin Cancer Foundation says higher altitude can contribute to sun-induced skin damage. “UV radiation exposure increases 4 to5 percent with every 1,000 feet above sea level,” says the Skin Cancer Foundation. Solution: Strong wind and snow can wear away sunscreen, so apply SPF 30 sunscreen or higher. Don’t forget the more obscure places like behind your ears and around your lips. If you know you’ll be outside for a long time, reapply sunscreen every two hours. Starting that new diet or working out even harder is a given once that ring is on your finger. But what if you want to treat other concerns that can’t be solved through just food and exercise? Thankfully, you have plenty of non-surgical treatments that are available to you. The beauty of these procedures is that you won’t be spending your time resting and recovering—these treatments require no downtime so you can go back to planning your wedding. Read on to see what you can do about common concerns you might have and what you can do about them before your big day. Got some wrinkles around your eyes or lips that you’d rather not flaunt in your wedding photos? Then consider Botox injections. Botox injections paralyze and relax these lines you typically see between your brows, on your forehead and around your lips. These treatments take a few minutes to perform and will give you results that last up to 6 months. It takes up to a week for the final results of these injections to settle in. Consider getting Botox at least 1 month before your wedding date. You want to look like a glowing and blushing bride, not a blotchy one. Unfortunately, not everyone has even and clear skin. One solution to an uneven skin complexion is intense pulsed light treatments like a FotoFacial. A FotoFacial uses radiofrequency, intense pulsed light and infrared energy to target skin concerns like brown spots, spider veins and blemishes. These treatments target the deep layer of your skin, which all leads to production of new collagen. Since you’ll see the best results after 5 treatments (each treatment should be performed 3 weeks apart), start your FotoFacials at least 4 months before your wedding. BodyFx treatments use radiofrequency energy for permanent fat reduction and cellulite improvement. The RF energy tightens the skin and high-tech voltage electrical pulses results in permanent death of unwanted fat cells. After combined treatments, patients can expect 2-6 centimetres of permanent fat reduction in the abdomen area and 3-5 centimetres of fat reduced from the inner and outer thighs. You should complete 6 treatments—each one is performed once a week. Start BodyFx treatments 2 months before your wedding. CoolSculpting treatments use cold temperatures to freeze and disable your fat cells. You can see 2-3 cm of fat reduction after just one treatment. You can get 2-3 CoolSculpting treatments, but keep in mind that each treatment should be performed every 6-12 weeks. A CoolSculpting treatment takes 1 hour to complete. Your final results are permanent, as long as you maintain your weight. Start CoolSculpting treatments 5 months before your wedding. At SpaMedica, we want you to look your best whether it’s for your wedding or just because. That’s why we’re offering a Botox promotion for first-time clients. Each Botox unit is $8, a significant savings from regular pricing. Book your appointment now or call 1-877-712-8367 to look and feel beautiful on your wedding day. Don't kick yourself for missing another Dr. Mulholland workshop. Follow us on Twitter and catch us live on Periscope. 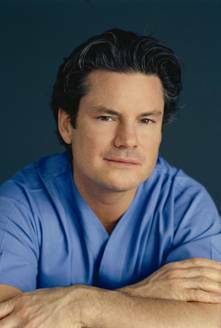 See Dr. Mulholland perform live cosmetic procedures at the Trump International Hotel in Miami on Saturday, June 13 and Sunday, June 14. Login and watch, join the interactive program and ask Dr. Mulholland questions as he runs through Cynosure technology. Watch him as he performs a SmartLipo procedure along with an IPL, The Elite and a Picosure facial. Periscope allows you to view live broadcasts from your phone, desktop or tablet. You can watch Dr. Mulholland’s workshops in real time from around the world. If you ever had pressing questions about certain treatments like Botox or SmartLipo, then you have your chance to ask Dr. Mulholland whatever it is you’ve been wondering about. Simply follow @SpaMedicaCanada on Twitter and then download the Periscope app from your iPhone, tablet or Android device and search for SpaMedicaCanada to tune in. If you're watching from your laptop, follow our tweets and click on the periscope links to view the broadcast. If you are unable to join us in Miami, be sure to watch us live this weekend on June 13-14 from The Trump International Hotel. When it comes to beauty and looks, women are normally pinpointed as the ones most occupied or concerned by it. But they’re not the only people who spend time and money on their appearance. Increasingly more so, it’s men in their 40s and 50s who are shelling out cash to stop their signs of ageing. Source: Popsugar.com. 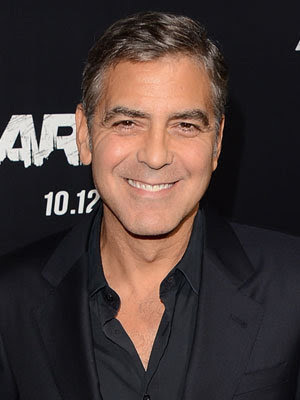 George Clooney shares his opinions on men and plastic surgery. Let’s not forget these guys are major celebrities though—they’ve made a good living and should be well off if for some reason they never landed another movie role. That’s not quite the case for regular folks. There’s pressure to look young or attractive in the workforce. That’s one of the main reasons why older men get treatments like Botox; they want to look youthful to compete with colleagues who are decades younger. According to the American Society for Aesthetic Plastic Surgery, the number of men getting surgical and non-surgical treatments in 2014 went up by 43% compared to the previous year. To put that further in prospective, the number of procedures performed on men has increased by 273% since ASAPS began collecting statistical data in 1997. Men in upper management positions make up most of the male clients at SpaMedica. Dr. Mulholland, a Toronto plastic surgeon, says most of the male clients he sees are in upper management or senior positions at work. He says that men are subject to ageism, as women have been for so long. “These men are seeing signs of ageing that make them look tired, which projects lack of confidence or lack of ability to negotiate in the boardroom,” says Dr. Mulholland. To top it off, younger male colleagues “nip at their heels” and are more than ready to climb the work ladder. Another big reason why older men seek treatments is that they want to attract younger women. Men in their 60s who are freshly divorced find themselves back in the dating market. Dr. Mulholland says these men tend to gravitate to women in their 30s or 40s. That alone is enough to push men to look into cosmetic treatments. Most men tend to avoid surgical procedures—the most popular non-surgical treatment for men at SpaMedica is Botox. Laser treatments to smoothen wrinkles and skin are also popular. ASAPS reports that blepharoplasty, male breast reduction and facelifts have increased dramatically over the past 5 years for men, though. So let’s cut the ladies some slack. Men are increasingly preoccupied with their looks and it’s mainly for work or romantic opportunities. If you think that looks don’t matter, think again. When it comes to certain careers, keeping up appearances is (unfortunately) important. At SpaMedica, we’ve seen several lawyers, actors and bankers come in for treatments. Whether it’s for Botox injections or facials, it’s usually for the same reason. These professionals want to keep their youthful looks to stay competitive in their career. Why would they feel the need to compete? It’s because they want to get a promotion or keep their upper-management position, according to Toronto plastic surgeon Dr. Mulholland. These clients want to look and feel confident rather than looking “haggard” in front of their colleagues and clients. “It’s about looking your best in a very competitive business environment,” says Dr. Mulholland. 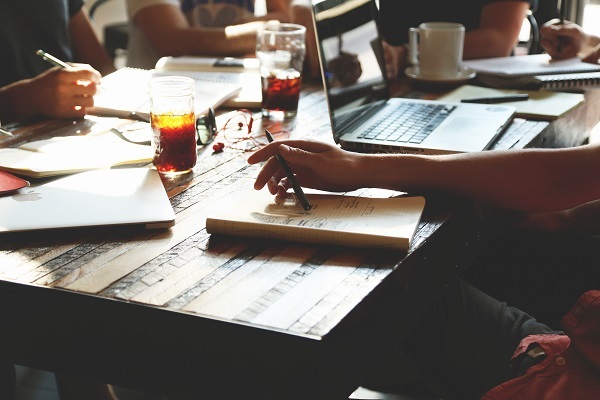 It’s easy to say that attractive people get things handed to them in life easily, but numerous studies have proven that this is often the case—at least when it comes to jobs. Daniel Hamermesh, a professor in Economics at The University of Texas at Austin, reported that attractive men and women earn 3-4 more percent than people with below average looks. 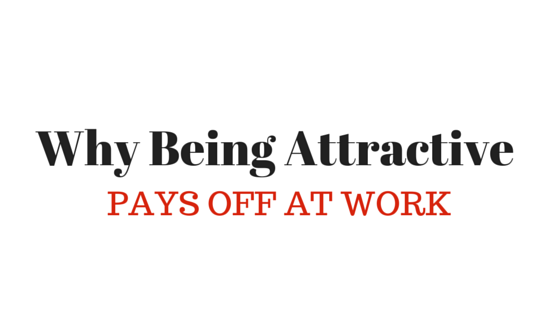 Attractive people get hired quicker and earn promotions faster in comparison. They’re also rewarded with more job benefits and are revered as valuable assets to the company. 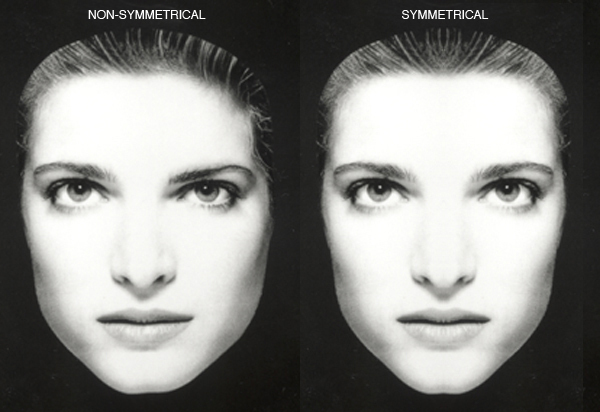 Source: Viewzone.com Symmetrical faces are considered as signs of good health and attractiveness. Each individual will always have their own preferences in what they find physically attractive. But in general, there are certain traits that are considered universally attractive. According to this Business Insider article, people generally find clear and smooth skin attractive. It’s seen as a sign of health, especially in the faces of women. Facial symmetry is another factor of what makes someone considered as good looking. The traits that men find attractive in women are a high forehead, high cheekbones, full lips, big eyes and a thin chin. Women prefer a big jaw and broad chin in men. It’s not just women who are keeping up their looks. Men are no exception to treatments, both surgical and non-surgical. To compete with younger colleagues, these men maintain their looks through facials, laser hair removal or Botox injections. “Over 20 percent of my clients are men,” says Dr. Mulholland. Should there really be a big emphasis on our appearances when it comes to getting jobs? Apparently it does matter. A study published in the Journal of Applied Psychology showed that having facial blemishes or disfigurements lowered job candidates’ prospects of snagging the job. In one of their studies, 38 managers conducted face-to-face interviews with candidates who had facial birthmarks. These highly qualified managers with years of experience couldn’t keep their attention on these interviewers because of their looks. The managers had difficulty managing their reactions to the job seekers’ looks, which ultimately impacted their job prospects negatively. It’s vain and unfair how our culture works, no doubt. That’s how the nature of the workforce for many professions today, though. Not everyone is born with the same skills or looks. Skills can be learned and perfected and better looks can be attained—whether that means it’s by grooming or cosmetic surgery. Dr. Mulholland makes many media appearances throughout the year to talk about the latest trends and news on cosmetic plastic surgery. 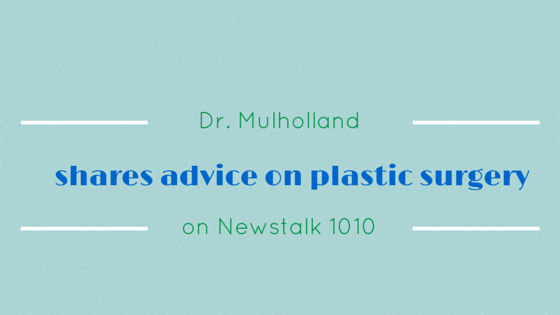 He recently was live on air with Newstalk 1010 with Barb DiGiulio to answer callers’ questions regarding plastic surgery. The segment was nearly an hour long and was jammed with interesting information—they talked about if a person can be too young for plastic surgery, advice on how to pick the right surgeon, and provided answers to questions about different surgical and non-surgical procedures. Dr. Mulholland also shared that when he first opened SpaMedica in 1996, he only saw two men for treatments that whole year. Now men make up 20% of the clientele. “Men are extremely vein and we just don’t about it,” he says. Below are just a few tidbits of what Dr. Mulholland, the host and callers discussed that night. You can also listen to the full show here. Kelly, the first caller of the night, mentioned she had been researching on how to reduce the bags under her eyes. She says she’s aged prematurely because of many difficult life events that have happened over the years. Her main concern was how long recovery time would be after blepharoplasty. Dr. Mulholland: Non-surgical options like soft tissue fillers and some laser treatments can help reduce the appearance of eye bags. Get these treatments done on a Friday afternoon and you can return back to work on Monday looking much more rested. For more permanent results, consider having a lower lid blepharoplasty. It removes the fat pads under the eyes and tightens the skin around it. Bruising will occur, so having 7 days off from work to recover would be suggested. Would I be okay to do bending or lifting at work after surgery? Dr. Mulholland: In the first 3-4 days, there are some delicate blood vessels that are sealed. If you bend over and strain, it raises the blood pressure around your eyes which could cause some bleeding. Generally, as long as you’re not a world-class bodybuilding who deadlifts 180 pounds, you can carry office space boxes within a few days. Source: SpaMedica. This patient had lower lid blepharoplasty to remove the fat pads under her eyes. How much would lower lid blepharoplasty cost? Dr. Mulholland: There’s a range in the city and in the country. In general, two lids—whether it’s two upper lids or two lower lids—is going to start at about $2,500.00 and might go as high as $6,000.00 depending on how aged that lower lid is and the practice in the city. Let’s say you do the upper and lower lid combination, it’s called a quad bleph or four lid blepharoplasty. That’s usually in the $4,000.00 to $8,000.00 range depending on the practice in the city. Another caller asked about scarring after surgery as a person of colour. Are there usually any scars that are seen after any kind of plastic surgery for people of colour? Dr. Mulholland: Dark skin individuals are prone to pigmentation disorder like brown discolouration and scars that are usually much darker than their surrounding skin. Whether it’s breast augmentation, a facelift, liposuction or a tummy tuck, things need to be hidden extremely well when you have darker skin that you know is not going to heal favourably. Caucasian skin is often prone to scars that are red and raised. Attention to placement is one of the tricks of plastic surgery school. One of the first steps to plastic surgery is deciding with your plastic surgeon what procedure, approach and incision is going to work best for you. Thinking about surgery seriously? Dr. Mulholland shared advice on how to start research. What is the process somebody goes through if they want to do a consultation with you? Dr. Mulholland: The first step is to start your research online. Make some searches on Google on who you should see and then pick three practices. Look on websites like RealSelf or Yelp and see what people are saying about these physicians and practices. Go on websites like The College of Physicians and Surgeons of Ontario and make sure there’s no complaints and the physician’s in good standing. How long you been in practice? If a complication happens to me, how is it managed? Make sure there are good before and after photos. Make sure you can talk to patients. At the end of the day, you just got to feel right. You should have a good sense that this is the right physician and team for you. Kylie Jenner has made headlines for months because of her notably larger lips. She’s recently admitted that she had lip injections to plump them up (after repeatedly denying it). The host asked Dr. Mulholland what he thought about teenagers and plastic surgery. We’re seeing a lot of stuff happening with teenagers, how young is too young? Dr. Mulholland: Every plastic surgeon would have a different answer to that, but as a father of six children, it’s tough enough to be a teenager and come to terms with your sense of self without complicating it with cosmetic surgery and without succumbing to peer pressure and paradigms of beauty. It can be quite unhealthy so I’m a big believer that you should be a voting adult and that you should be at least 19 before considering plastic surgery. You should have carefully thought these things out and it shouldn't be a spontaneous decision. Now, having said that, there are always exceptions to the rule. If you’re a young woman and you have a pathological condition like Poland Syndrome (where you don’t form a breast on one side and you do on the other) It’s really a hereditary congenital abnormality, so that might be a situation of circumstance where you might consider it. Or maybe you’ve had trauma and you broke your nose or you were born with an extremely large bump and it is way outside the spectrum of what would be considered normal variant, you might consider those extreme circumstances. But I think as a rule, it’s a bad idea to mix teenagers and cosmetic surgery.